The studio will feature talent and brands from across the company's suite of channels, encompassing a wide range of formats and lengths on a number of platforms. Shows produced by the studio will run on YouTube, Facebook, Twitter, Snapchat, Instagram and other platforms. The company says that video now accounts for more than half of ad revenue, and that video views on the platform have almost doubled over the past year. Twitter laid out its plan to keep that growth flowing, with more than 30 new partnerships in the pipeline, and a major focus on live programming. Amsterdam designer Explicit Wear teamed up with recycle company Gumdrop Ltd to produce the first sneaker to be made of used chewing gum. The latest design is called Gumshoe, a leather sneaker with a rubber sole that is 20% chewing gum in composition. Gumshoe’s website states that about 1.5 million kilos of used gum are found on Holland’s streets each year, making for a sticky mess. This new sneaker is said to help the issue by cleaning up the streets and turning the recycled waste into something wearable. The team behind Gumshoe are interested in expanding to other major cities to help cut down waste and are considering the option for customers to replace the sneaker’s soles at no charge. The soles will also be recycled, helping make the product sustainable as well as environmentally friendly. Gumshoe will be available for purchase starting this June at 190 euros ($232) per pair. Much like in Pokémon Go, players of the Tencent game can capture digital monsters by flicking a ball on their screens at them, only the Pokéball in this case is called a “monster-sealing soul ball.” Another handy item in the game is a bell that draws out nearby monsters from hiding, similar to the incense item in Pokémon Go. Players can also power up and evolve their monsters. According to promotional pictures, players appear to be able to battle each other in order to occupy landmarks on the map, another similarity with Pokémon Go. There are currently 243 monsters available in the game, and many of them are characters taken out of Chinese cartoons (such as Calabash Brothers) or Chinese legends (such as the Monkey King). Sharing the same premise as common battle-arena games, these monsters are categorized into different roles such as assassins, shooters, and supports. For example, the Monkey King (also known as Sun Wukong) is a warrior with the ability to stun enemies for several seconds. Fast food outlet McDonald’s opened a new location that gives diners the chance to experience some of the restaurant’s worldwide specialties without ever having to venture outside the United States. Their recently opened Chicago chain is part of the company’s ongoing initiative to modernize their restaurants and their customer’s dining experience. 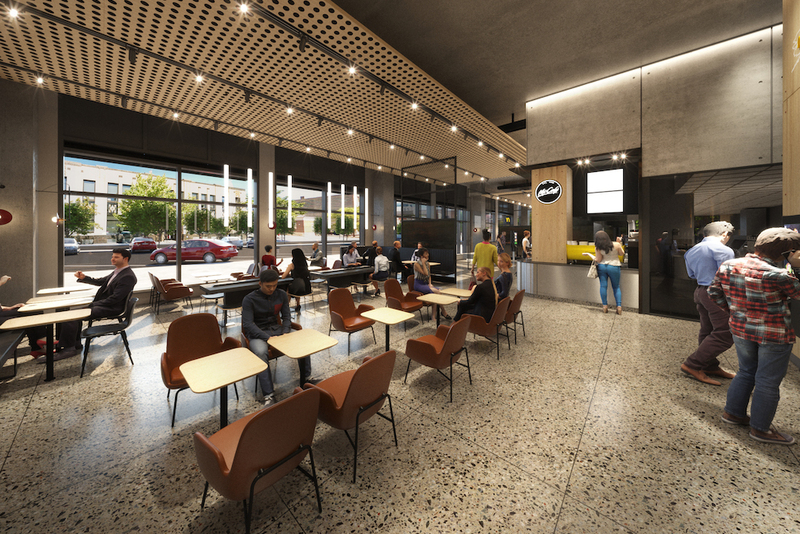 Among the staples on offer are the McSpicy Chicken Sandwich from Hong Kong, a French mozzarella salad and a barista bar resembling those in the company’s Australian branches. These international items will be available to customers on a rotating basis alongside regular favorites such as the classic chicken nuggets and fries or the Big Mac. In addition to social media allowing people to see what is on offer elsewhere, physical travel is now more accessible and affordable than ever, and the need for individuals to feel well-travelled or in-the-know extends to their gastronomical experience. McDonald’s new locale reflects this worldly-wise disposition of millennials, who are no longer satisfied with limited options at restaurants, as well as marks a culture and experience-conscious step for the chain. If the acquisition goes through, the country will be left with just three major wireless carriers -- all with roughly the same number of customers. T-Mobile and Sprint combined have around 100 million wireless customers, while Verizon has roughly 116 million and AT&T has around 93 million. To make the practice more accessible to the inexperienced, Google has launched a game called Grasshopper aimed at teaching adults how to code for free. By turning coding into an engaging mobile game, Google is getting rid of the usual barriers to learning the trade: time, accessibility and the associated costs. Will pickup drive e-grocerys growth? With collection, rather than delivery, the most popular means of receiving online orders, cross-channel retailing is emerging as the dominant model in U.S. online grocery. In a survey of 1,885 Americans from March, some 51 percent of respondents said that they mostly opt to collect their online grocery orders, while 45 percent mostly opt to have their orders delivered. (The remainder could not remember which service they used most). Amazon, which focuses on delivery, pushes up the average delivery rate, and the e-commerce leader was by far the most-shopped retailer for online groceries. Some 59 percent of online grocery shoppers surveyed said they had bought from Amazon in the past year, versus 26 percent for second-place Walmart. However, a number of data points suggested that shoppers tend not to use Amazon for conventional, full-basket grocery shops, while they do tend to visit Walmart.com for such shops — implying that grocery orders at Walmart.com are bigger than at Amazon.com. Some 60 percent of those surveyed who had bought groceries online from Walmart in the past 12 months mainly collected their orders. Walmart online grocery shoppers were also found to be significantly more likely than the average to have bought fresh and frozen food categories online versus Amazon. 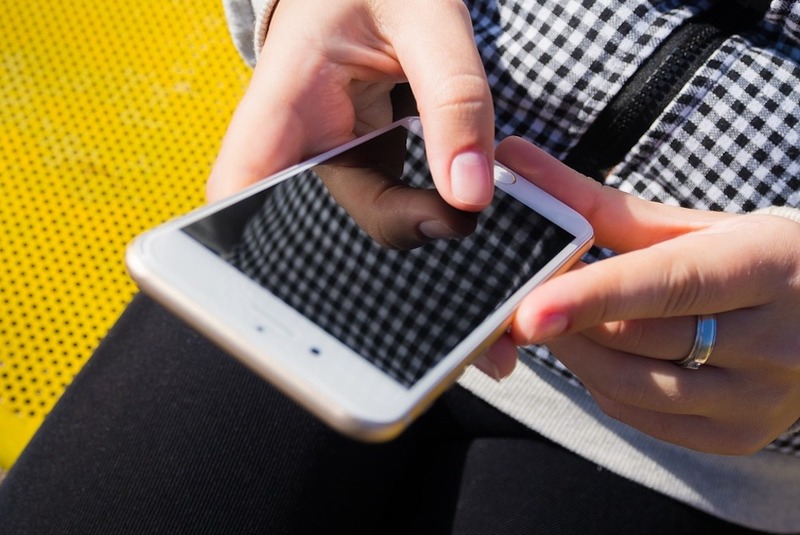 CoreSight Research said the findings support its long-standing view is that it is much more difficult to make pure-play internet retailing work in the grocery category than in non-food categories. Amazon’s moves to acquire Whole Foods, launch Amazon Go and merge Prime Now and AmazonFresh indicate that it understands pure-play’s shortcomings. DISCUSSION QUESTIONS: Do you see collection points driving e-grocery’s growth in the future? How will shoppers’ grocery trip frequency, both online and to physical stores, change as a result? "In high-density, large and affluent urban metros, delivery will still play a key role, but pickup will broaden access." "The issue with online grocery is that it has always hit the perishable wall as an obstacle to scaling. That's where pickup will play the biggest role." "The good news is that the retailer is also potentially better off as there is less pressure to keep infinitely scaling the distribution fleet network." Tech and social media company Snap Inc. has unveiled its updated version of Spectacles, the popular HD-camera sunglasses that are compatible with the brand’s Snapchat app. The new shades seem to rectify problems with their predecessors while also introducing some additional features. 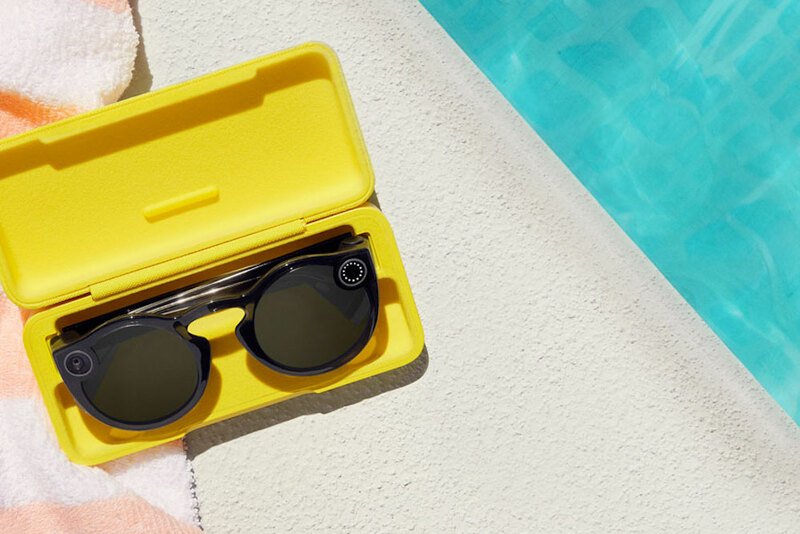 According to Snap’s release, the new wearable has a smaller profile, increasing comfort for the user, and is now waterproof, making it perfect for the summertime activities like the beach or pool. 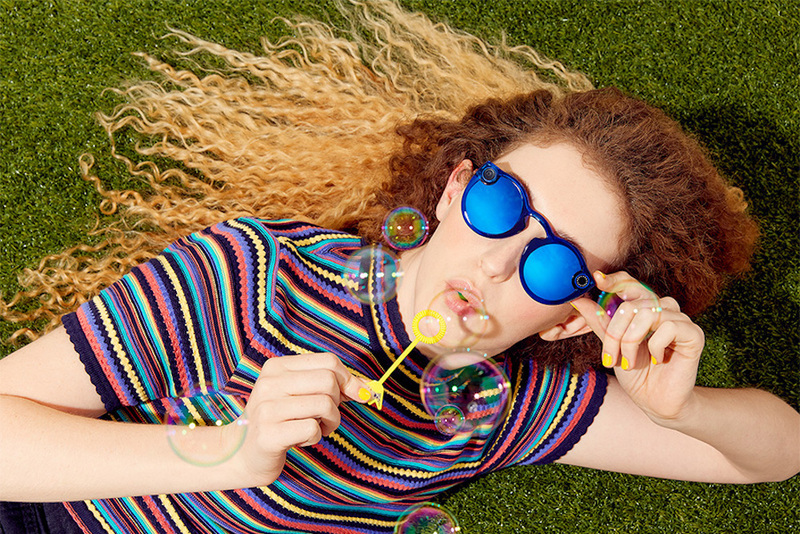 Even more, wearers can now snap a picture by pressing and holding a button on the glasses’ front. The glasses are available on the company’s site for $149.99. Satisfaction is lowest among retail bank customers who exclusively used online or mobile banking channels during the past three months, per J.D. Power.